Attention Parents, Educators, College Students and Community Members! Computer Science Education Week is December 4 – 10 and we need your help to get more kids interested in the tech field! Computers are everywhere, changing every industry on the planet. But only 1 in 4 schools teach computer science and our pipeline of new, educated computer programmers is dwindling. The good news is, we’re on our way to change this. 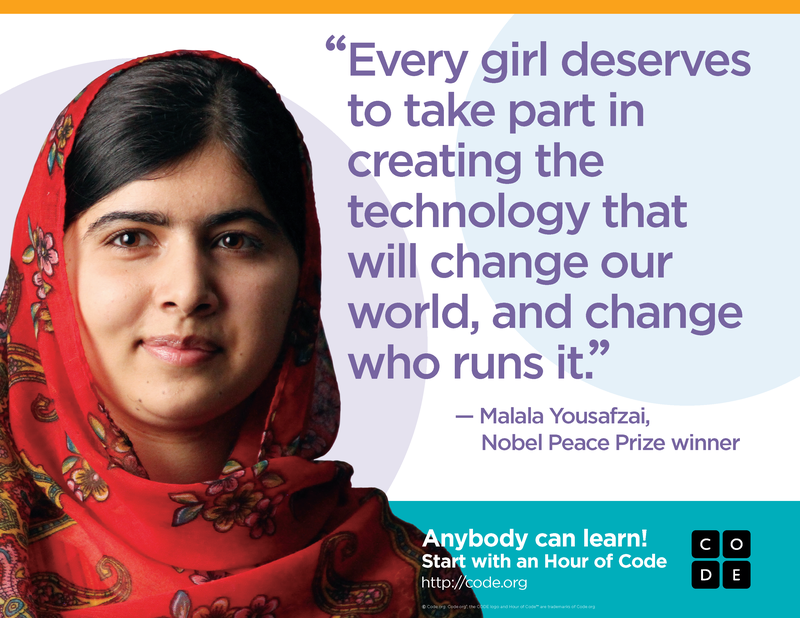 The Hour of Code started as a one-hour introduction to computer science, designed to demystify “code“, to show that anybody can learn the basics, and to broaden participation in the field of computer science. More than 100 million students have tried an Hour of Code to kick-start their education into Computer Science and every year, we promote Hour of Code during Computer Science Edcation week. Long Island Women in Tech members support schools throughout the year by sharing their experiences with students and running Hour of Code sessions at local schools. This is where we need your help! You don’t have to be a coding expert to run a session. You just need a general understanding of the program and how to facilitate. Check out the video below and the attached materials to learn more! 1-page take home sheet for kids to show their parents.